Are you looking for something where you don’t have to be an IT expert and where you could create something useful for your business fast and easy? That’s why SocialSprinters are here! 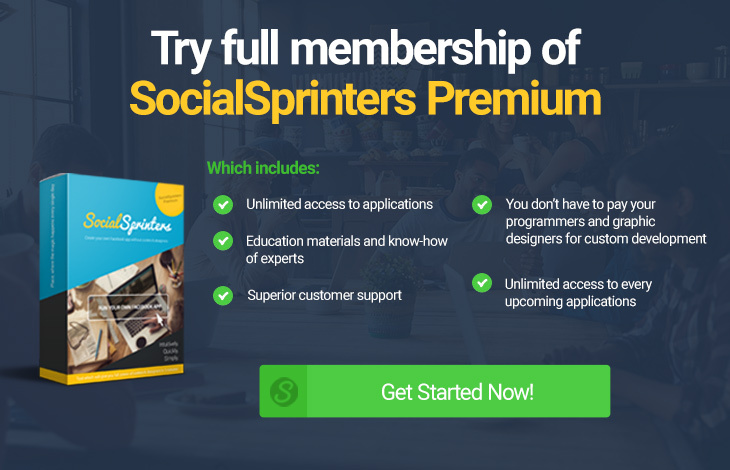 SocialSprinters are very intuitive platform for your business where you don’t have any limits. You can create Facebook apps completely on your own. The only things you will need are …. a Facebook account and a few minutes of your time. SocialSprinters offer more than 13 types of Facebook Apps that you can completely adjust exactly how you imagine. Let’s look at every app more closely. Your fans and friends will love this! Turning the wheel of fortune and trying to hit the right wedge will keep your fans entertained and attached for a long time. Let’s learn how to create one. Gain thousands of new followers. Engage your fans and their friends with an original photo contest. This app will allow them to upload their favorite photos and compete for votes! Learn how to prepare photo contest from the video below. Reward your fans with points for sharing your posts. Whoever gets the most points wins. You can also set a reward threshold and grant prizes to anyone who collects a certain number of points. Make your fans love to share your content! Learn how to easily create your own share to win app from the video training below. 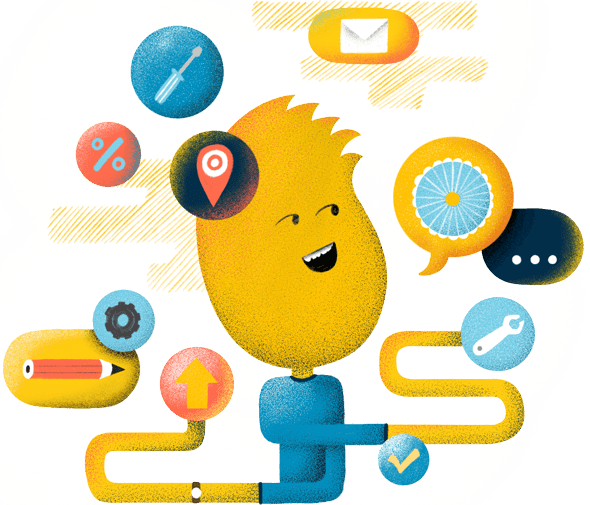 Are your customers happy with your services? Let them tell you. This questionnaire form allows your clients to leave you a message and also helps you collect leads. Let’s create one together. Throw a movie party on your Facebook page. Attract your fans to upload a video and let them compete for votes in your original video contest. Let’s learn how to create the app. Getting more Instagram followers can’t get any easier. Just share an Instagram feed on your Facebook page through our simple app. Effortlessly, you will expose all of your Instagram videos, pictures and hashtag searches to all of your visitors and page followers. Thanks to the follow button, all of the visitors may turn into Instagram followers. Let’s add Insta app to your page. Get all the data you want from your customers and build a contact database. Offer valuable content in exchange for names, phone numbers and e-mail addresses. Let us show you how to create the app like that. You can simply show what’s in your store or shop thanks to the price list app. Let’s look how to prepare a list like that for your page. Spread the word! Enhance your Facebook page with this special tab and keep your fans informed about your latest news and events. Let’s create News Tab! Make your Facebook page delicious! Boost your page with tasty menu. Let your customers know what’s on your daily menu. Create your special menu. Tease the brains and grow your lead list. Test your fans! Launch a guessing contest and get useful feedback through a quiz. Let’s create one together! Promote your products, services or events with awesome flyers. Upload any graphics or images and boost your page. Let us show you how to add a poster on your page. Collect more leads! Use the contact form and collect leads fast and effortlessly. Let’s create the contact form together. 13 great apps that everyone is able to prepare fast and easy thanks to the training videos! We’re sure you’re excited!